CropLogic Ltd., a New Zealand company and international provider of digital agricultural technology and agronomy services for growers of irrigated crops, has announced that following the success of its recently opened regional sales office in Mildura, Victoria, Australia in July, the company will open a new regional sales office in Twin Falls, ID. CropLogic’s Twin Falls’ regional sales office will provide Southern Idaho with greater access to CropLogic’s suite of innovative digital agriculture technologies, as well as resources for the region’s strong agriculture industry. 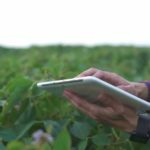 CropLogic provides a suite of digital agricultural technologies including remote soil moisture monitoring, aerial infrared imagery, and predictive modelling. These have been developed with research institutes out of New Zealand and in collaboration with growers and agronomists in New Zealand, Australia, and U.S. Some of these technologies draw on over 30 years of research. CropLogic has then established a team of agronomists in the U.S. and Australia that provide advice on the best application of these technologies. The announcement is in partnership with the City of Twin Falls, the College of Southern Idaho (CSI), and Southern Idaho Economic Development Organization (SIEDO). CropLogic’s office space will be provided by the College of Southern Idaho. This strategic location will provide a strong partnership between the company and CSI to expose students to valuable ag-tech careers and skills. “Partnerships and relationships are a top priority for CropLogic. Having established ourselves in the Columbia Basin, Washington State in early 2017, the take up of our technology in that region has been beyond our expectations. This has been largely due to the partnerships we have developed in that area. “The agricultural research sector represents a significant opportunity for Twin Falls. “As we met with CropLogic over the past few weeks, it became apparent that they were a great match for Southern Idaho and the regional emergence as a center of food production and processing technology. “Research partnerships are important to CropLogic and this relationship with CSI adds to our research relationships with institutions in New Zealand, Australia and now USA.